The Two Doctors And The Three Mosquitoes. 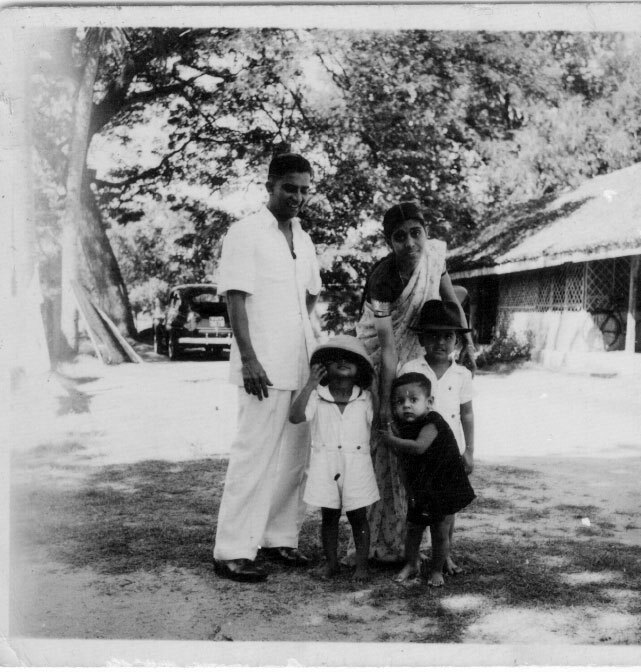 The two grownups in the photograph there are, my aunt, that is, my late father’s younger sister and her husband. They had been married for less than about a year when this photograph was taken. 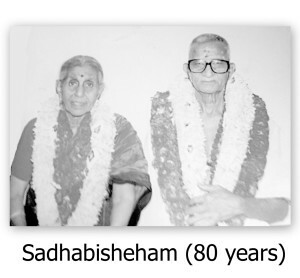 Here is a photograph taken at their sashtiapthapoorthi, which is celebrating the 60th birthday of the husband. And the one on his 80th birthday. He would have been a hundred years old had he just lived on till October this year, but it was not to be and the photograph right on top was first posted by my brother Arvind immediately after his death last week. All our favourite photograph of our uncle is this one taken while he was resting one afternoon not too long ago. 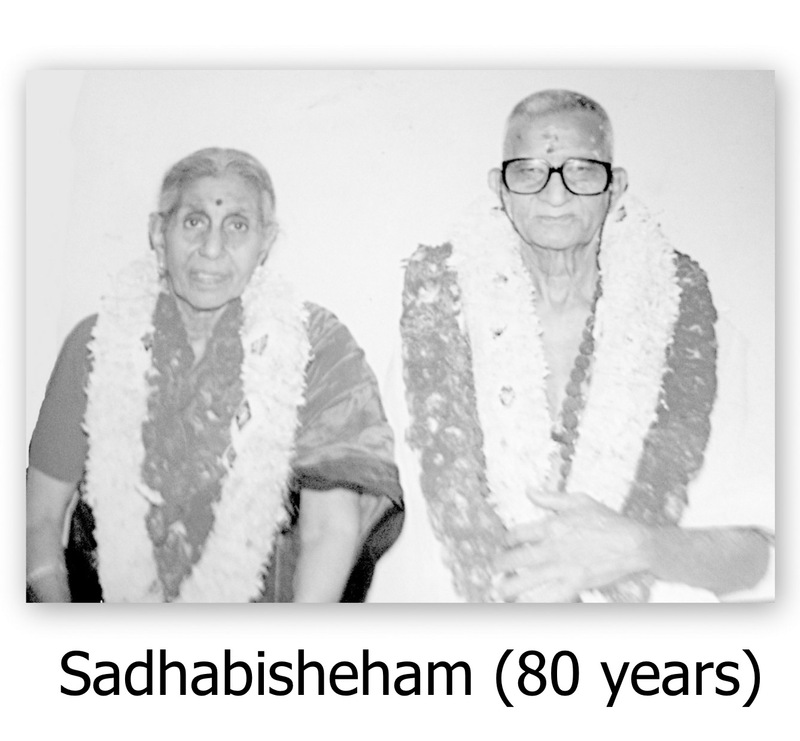 Both my aunt and uncle were medical practitioners in rural Tamil Nadu and on retirement moved to Madras. Before that, my aunt had moved there to facilitate the education of their three children, all of whom are doctors. 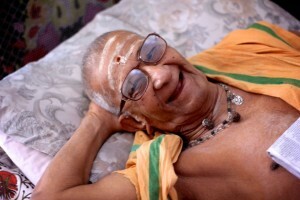 My uncle became deeply involved in Vedanta and for us apart from being a favourite uncle, he was also a spiritual guide. The three mosquitoes that you see on the top photograph in later years are shown below. The first two show me and my youngest brother Barath when we had called on them in Madras three years ago. 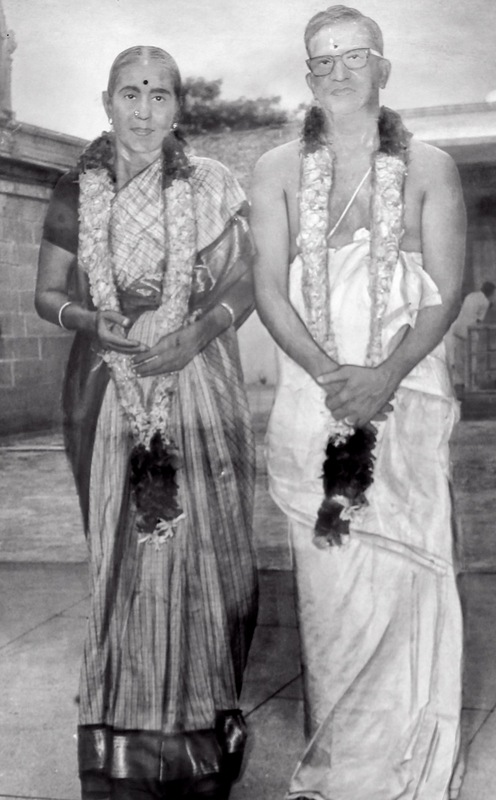 Barath is shown taking our uncle’s blessings, whereas, I had already taken that. 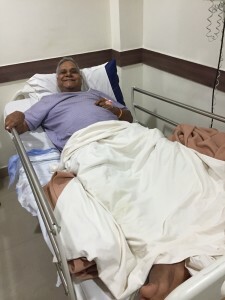 The in between mosquito Arvind has been in hospital recovering from surgery to replace both his knees. The photograph was taken by my cousin Mohan who featured in my last week’s post on being scared of my driving. With the coverage of almost all the images in the photograph, my soliloquies on the photograph is about to end. There are just two topics more to extract from it and my next post will do exactly that and with it, will relieve my readers of further pain. 6 Responses to The Two Doctors And The Three Mosquitoes. As I’ve already said, I love these posts. Keep them coming! I will indeed! Thank you. whatever some have said it is nice to reflect on past, the inbetween and the current – if folk don’t want to read – the big X at the top of the page sorts that out…. Absolutely! That is the beauty of blogging! Thank you for another of your soliloquies. This time I pondered over the passage of time. We were so beautiful outside in our young years. The age brings different beauty. The beauty inside of us. At least, some of us. I see such beauty in the face of your resting happy uncle. He was an amazing man Anna. I had never seen him angry or sad ever! And he simply loved all children who in turn were all very comfortable with him.